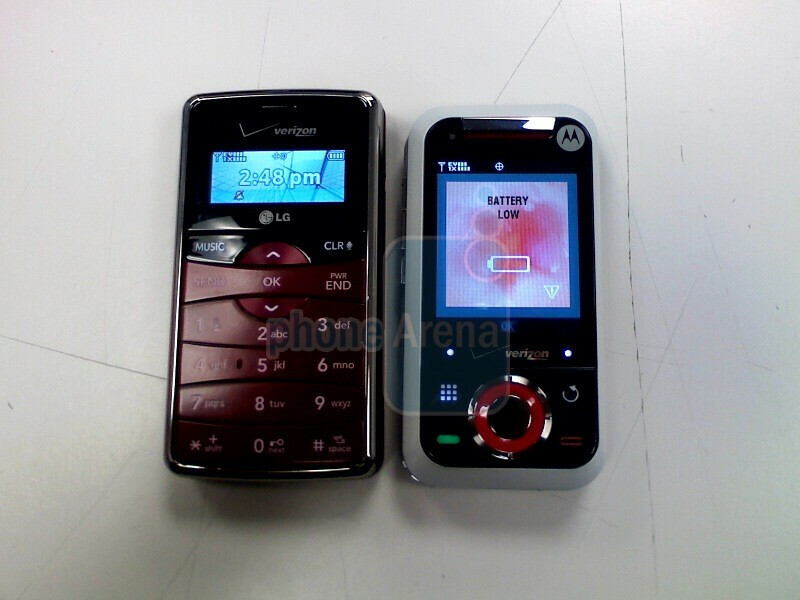 As you are probably well aware, the side-sliding Motorola Rival A455 for Verizon is expected to be launched tomorrow. 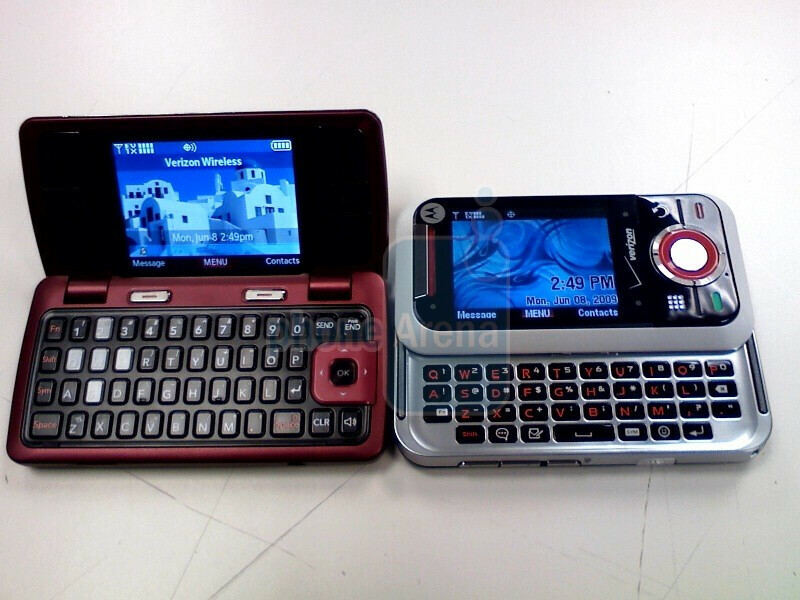 If you would like to take another look at that Motorola QWERTY phone - please, go ahead, because one of our tipsters sent us live photos of the handset's two color varieties. Which one do you like better? Are you intent on getting one? I played with a unit a few weeks ago. 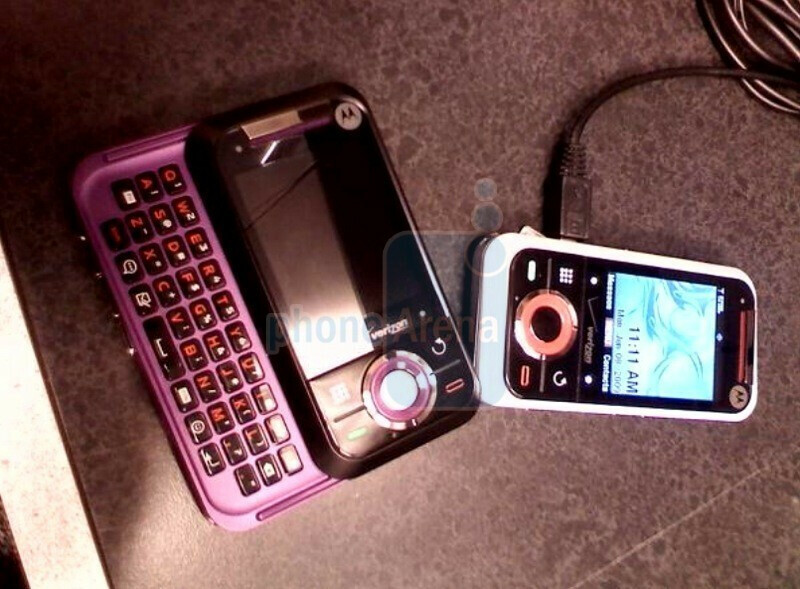 It has a good feel to it, and I believe it will be a great fit for the enV3 crowd type folks. its about time verizon comes out with a non-touch non smart phone side slider now we can compete with at&ts lg rumor or sprints rant. The LG rumor's also sprint. I meant the LG rumor is just for sprint. Not AT&T. You don't rely solely on the touch screen for the whole front of the phone though. Are you stupid? The LG Rumor is with sprint. Go shoot yourself for being stupid please. OO THIS IS NICE.. I DON'T EVEN LIKE MOTOROLA PHONES.. BUT I'D PROBABLY GET DOWN WITH SOMETHIN LIKE THIS.